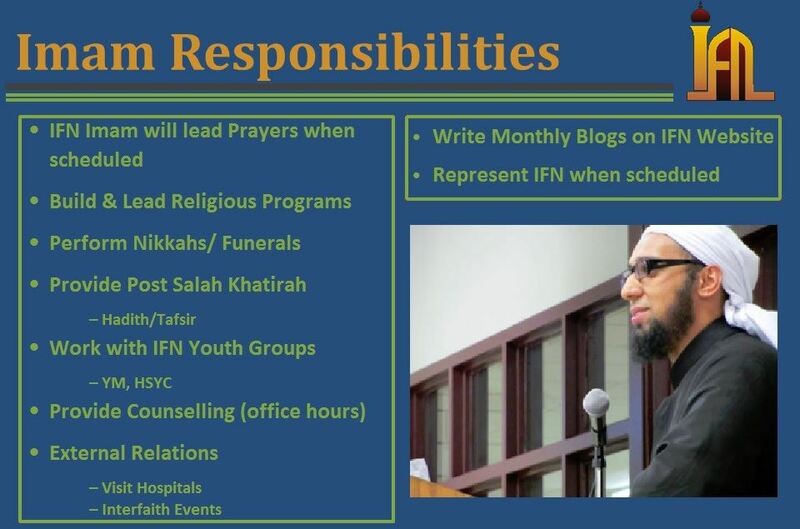 As your Imam, I will serve as the spiritual leader and teacher to the diverse IFN community. 1. - Explain the Qur'an and the Prophetic Practice in such a manner as to reach our children, youth, adults, and elderly, despite their religious or spiritual condition. 4. - Give tours to non-Muslims interested in learning about Islam.